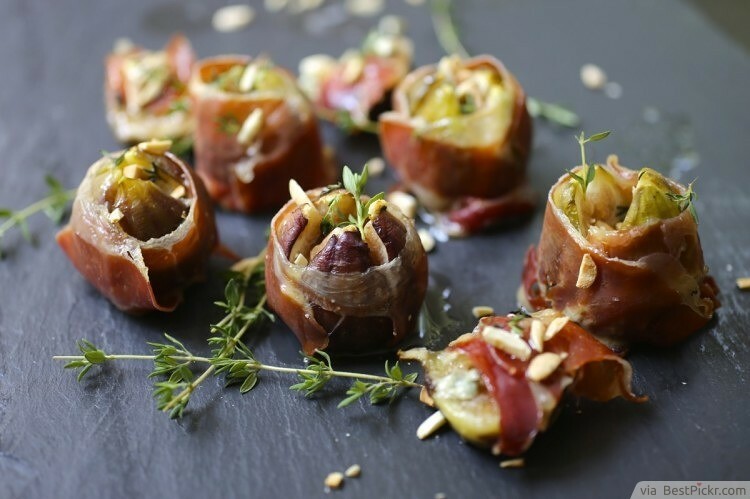 Wet your guests’ appetite before the main course with delicious roasted figs filled with Bleu cheese and smoky Serrano ham. Unusual and surprising, this great wedding reception food idea can lend a special flavor to your wedding. 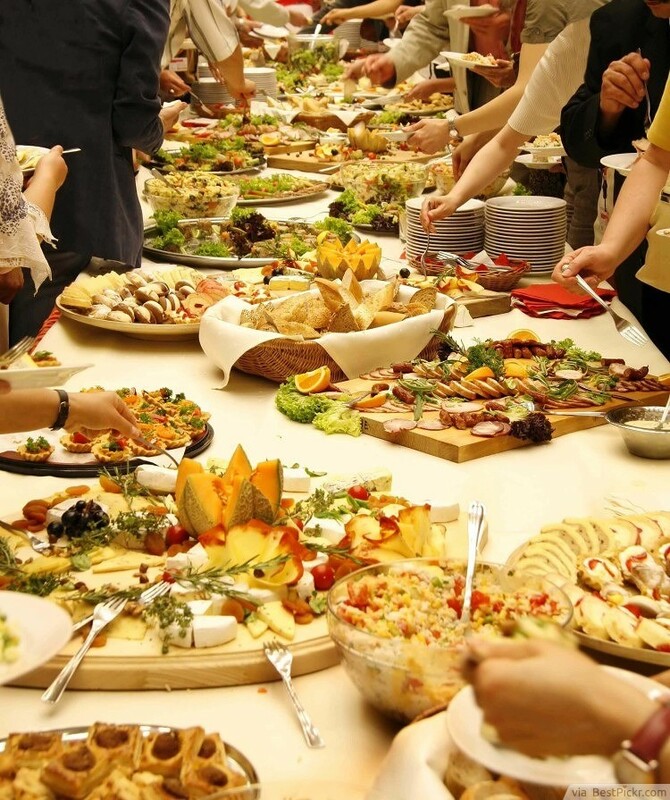 Buffets are such a good idea for wedding food as they cater for guests with all different tastes, they're informal, and they're often relatively cheap! Supply canapés, finger foods and bowls of favorites such as pasta and bread, all of which your guests can serve themselves. The most awesome aspect of this idea is that it will get everybody on their feet, interacting with each other, leading them to have a great time! 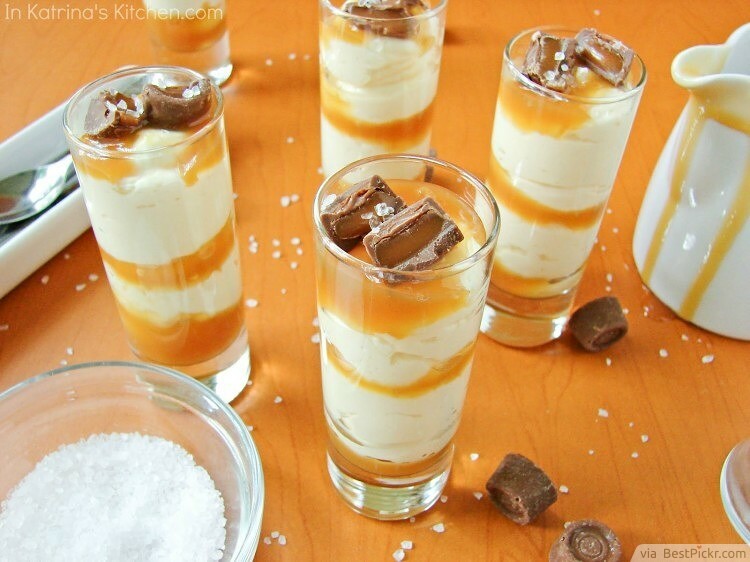 These provocative salted caramel cheesecake shooters are fairly easy to prepare at home, and they are so striking that they will be one of the highlights of your wedding menu. Sweetly salty! Have your guests take control of their food by setting up a food or dessert bar. 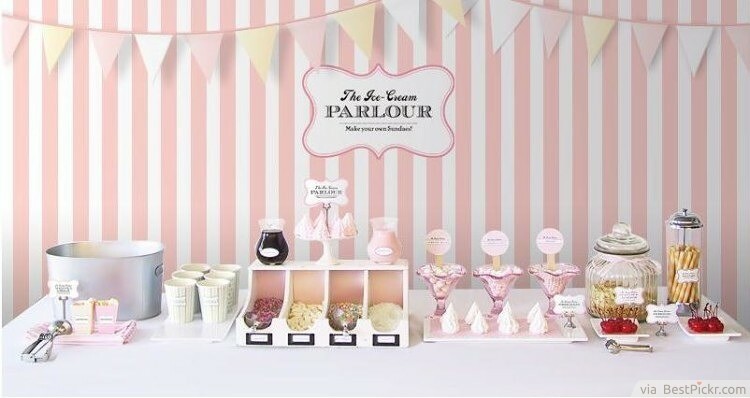 For wedding desserts, an ice cream sundae bar is such a fun way for everyone to flavor and decorate their ice cream to their own tastes. All you have to do is supply the plain ice cream, along with a whole variety of different toppings! Alternatively, you could provide a hot chocolate bar for late night wedding drinks, or a popcorn bar for wedding snacks. This is your day, so it should reflect you and your tastes. If you're a big fan of comfort food or takeaways, then include them on your wedding day! There's no need to choose something completely different if it simply isn't you. 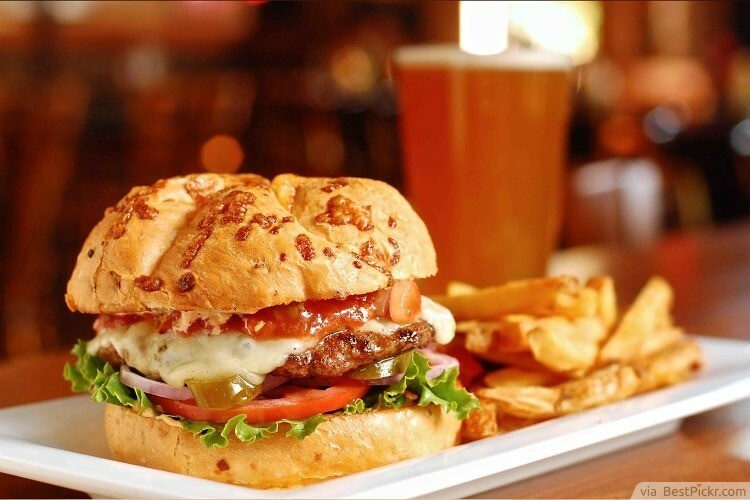 Step it up a notch by serving gourmet burgers and seasoned fries, luxury pizzas, or whatever other food you love the best. By serving quality comfort food in this way, not only will it bring more of your personality to the day, but it's guaranteed to go down a real treat! 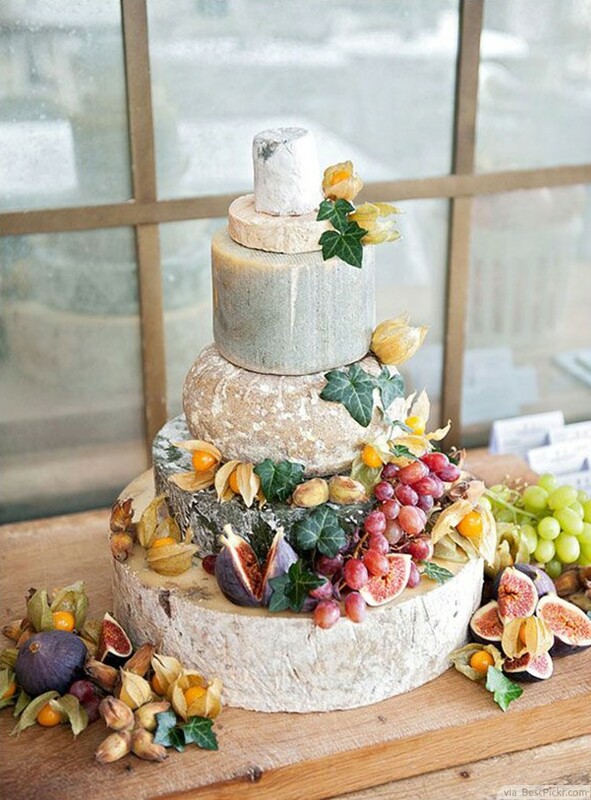 For a totally new take on the traditional wedding cake, consider having a cheese cake - not the sort that you'd expect made from cream cheese above a biscuit base, but a tiered cake made from stacks of cheese wheels. 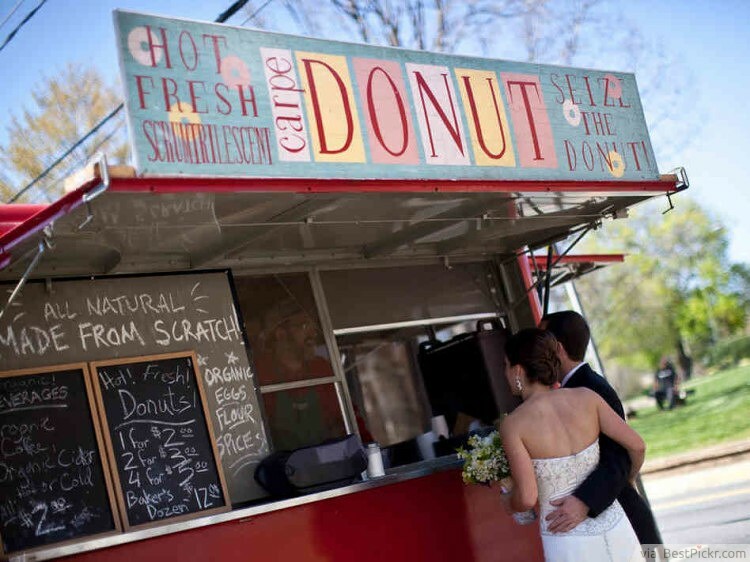 This idea is relatively new to the wedding food scene, but it's taking the world by storm. The overall effect is a really rustic, earthy one as you can choose to use a whole variety of cheeses. In the end, this may end up being a cheaper option, as you can combine it with your dessert to create a cheese course for your guests! The idea of having a traditional afternoon tea is a charming alternative to a formal sit-down meal. You can serve all your favorite sweet treats and picnic delights, with pastries, sandwiches, cakes and fruit. This light meal idea is perfect for summer weddings, or those with an outdoors, garden theme. 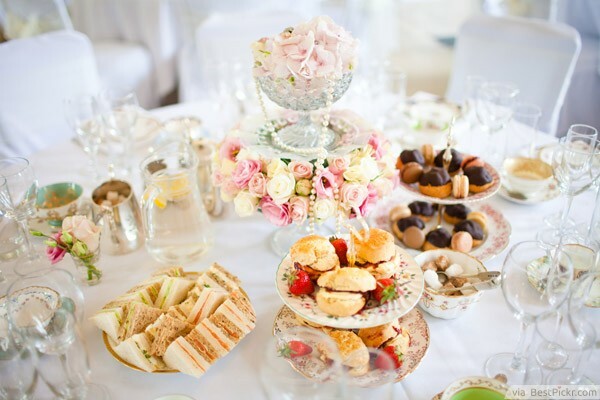 Arguably, one of the best parts about having an afternoon tea at your wedding is all the beautiful, elegant crockery that the food will be served on! 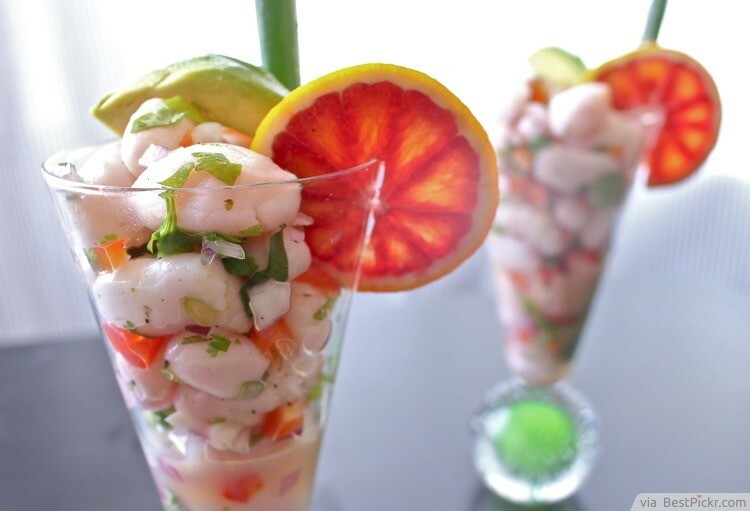 Another great wedding reception food idea, Blood Orange Scallop Ceviche blends the exquisite flavor of citrus-marinated, bite-sized scallops with the passionate taste of diced blood oranges to send your taste buds into ecstasy. 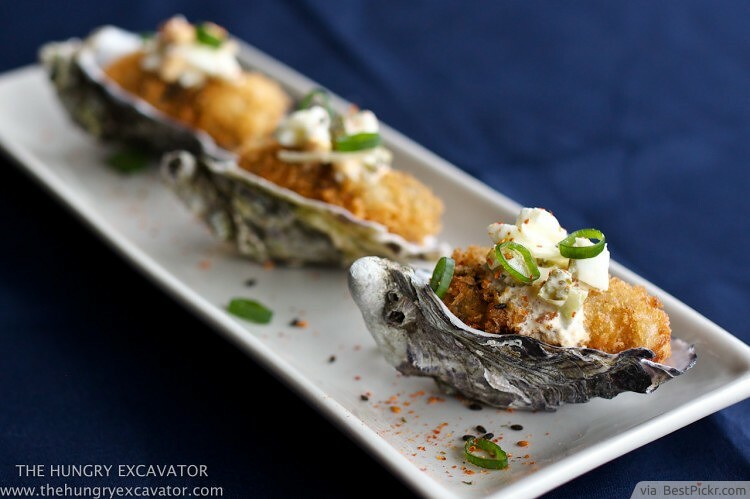 One of the many attractions of the Japanese cuisine, Kaki Fry will leave your mouth watering with its toothsome Panko oysters and crisp batter. Not the easiest dish to prepare, but when done right is a guaranteed hit. 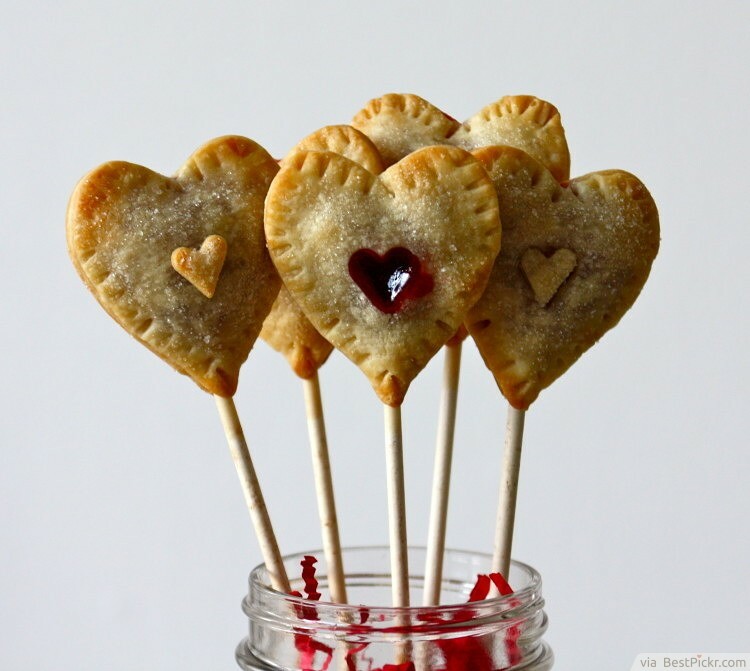 Sweeten your wedding with some pie pops! Not only irresistibly tasty but also fancy to look at, Pie Pops are easy to bake and can enrich the setting of your wedding, until your guests start fighting for them, that is. For a wedding breakfast with sophistication, serve your guests some fancy takes on typical breakfast dishes. 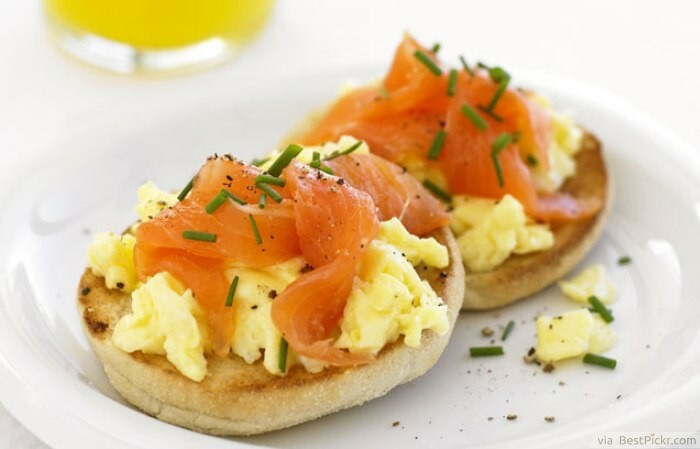 Smoked salmon, scrambled eggs, crumpets and cooked meats such as sausages are all breakfast treats from around the world which your guests could enjoy. This is your wedding, so if this food is your kind of style, then you can serve it at any time of day - you don't have to just save it for breakfast! If you can't decide on a single style of food to serve at your wedding reception, then have a bit of everything! 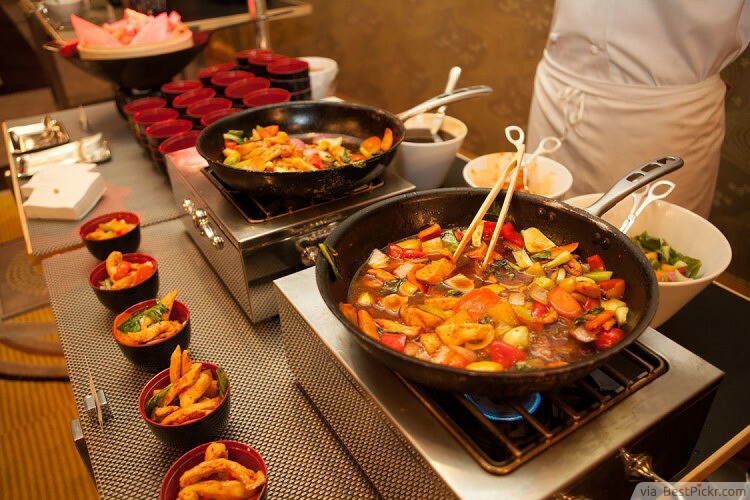 Food stations allow you to have several chefs cooking and serving different styles of food at various points around your venue. Your guests can then decide what they feel like eating, and select food from that particular food station - this comes in handy if you have fussy guests! Can't pick between Chinese, Indian, sushi, American, Italian, or your own personal favorite? With food stations, you can have them all! 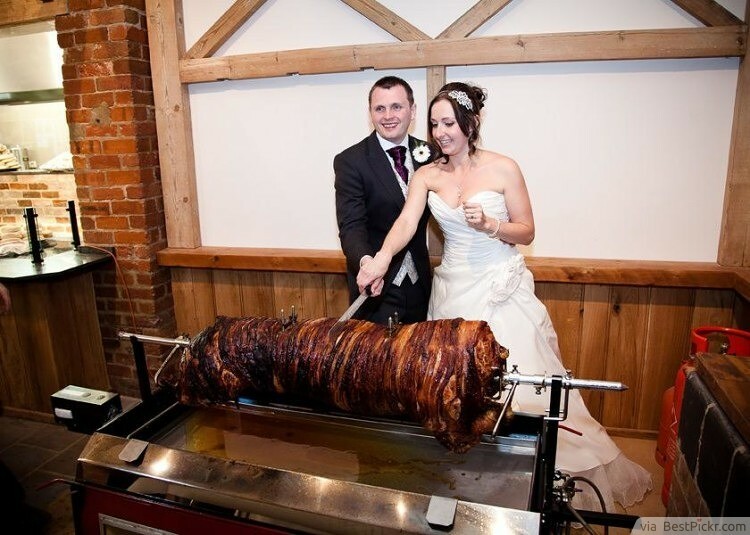 If you can't blow the budget and enjoy some fantastic, high quality food on your wedding day, then when can you? Splash out and hire some top caterers to create some flavorsome haute cuisine dishes that you wouldn't ordinarily eat. 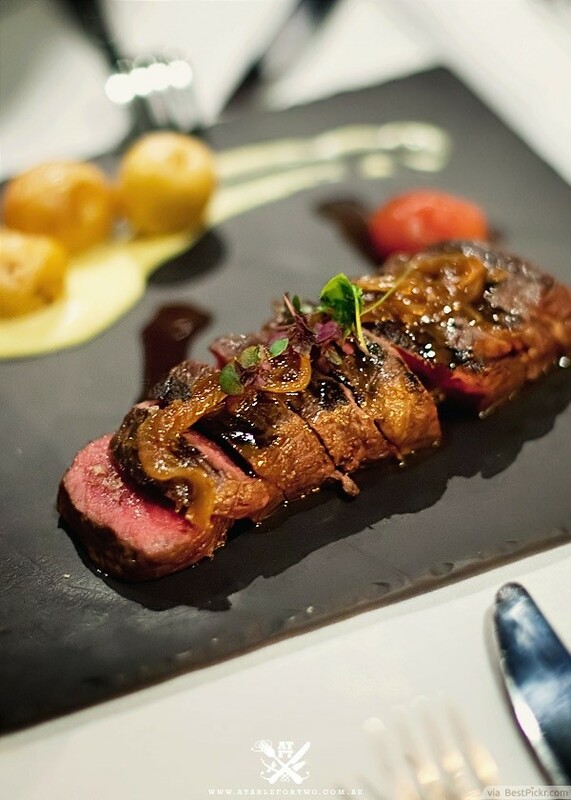 Fancy fish, expensive steaks and creamy desserts are the sorts of food that you can expect to leave your tastebuds tingling. This idea needn't be as expensive as you might think - the small portions that you'd expect from posh nosh should keep the costs from rising sky high.